We are an alliance of organizations, each with its own mission and approach to sustainability in the built environment. While our individual groups work on issues like the water/energy nexus, the land-use/transportation connection, the embodied energy of buildings, the toxicity of materials, and more, as an alliance we promote one goal: the equitable adoption of zero net carbon buildings at scale, as outlined in the Shift Zero Statement of Purpose. Today the alliance’s efforts focus within the state of Washington but may extend past those borders in the future. 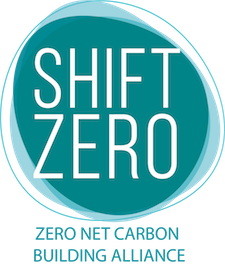 Shift Zero is a burgeoning alliance, currently with over 25 member organizations and growing. The broad desire to work more collaboratively, holistically, and strategically to advance zero net carbon buildings is palpable and together we intend to be a catalyst in this movement. Information on becoming a member organization can be found here.